If you’re planning on investing in home improvements, you’ll want to consider what your goals are. If you think you’re going to live out the rest of your life in your home, then focusing on renovations that are more geared to improving the resale value is pointless. You should have at least one entrance to your home that doesn’t require you to go up steps, even if it’s a side entrance or a back entrance. If all of your entrances have steps, you might want to consider building a short ramp up to the doorway. As you grow older, it’s going to become more challenging to walk up and down stairs. You should think about turning one of your extra rooms downstairs into a bedroom for this very reason. If you don’t have the spare space, consider building on an extra room. Even if you are going to use your upstairs bedroom for as long as possible, you can use the first-floor room as a guest room or turn it into an office for the time being. Make sure that it’s easy to get from one room to another without having to go down or up steps. 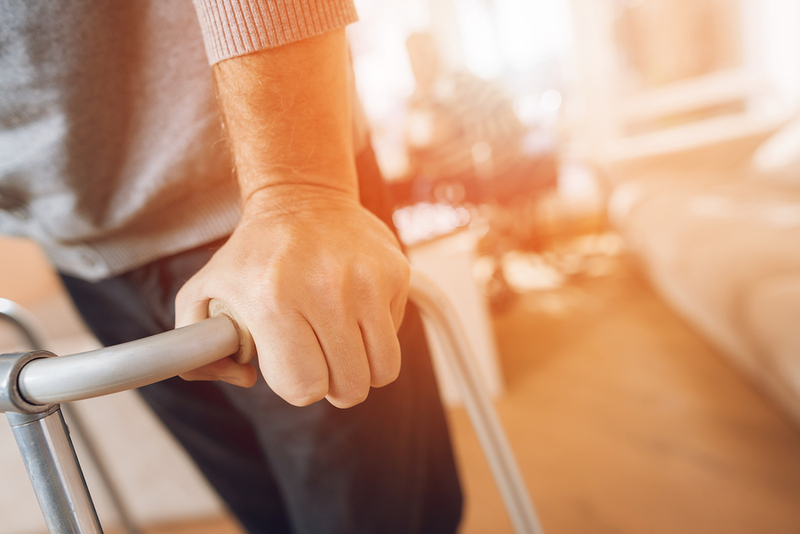 It’s easier to trip and fall once your mobility decreases, which could lead to serious injuries when you’re older. Someone in your household may end up needing to use a walker or a wheelchair when they are older. This can make it difficult to get around the house if the doorways aren’t wide enough. Make sure all the doorways are at least 32 inches wide to provide plenty of room to get through. The bathroom can be a real safety hazard for elderly individuals. First of all, you’ll want to make sure that there’s plenty of space to move around in, especially for those with wheelchairs or walkers. Secondly, installing grab bars in the shower and near the toilet will make using both much easier and help minimize the risk of falling. Last, but not least, consider replacing the bathtub with a curbless shower. This way, you’ll be able to simply walk into the shower instead of having to step over a curb to get into the tub, which can be quite difficult if you have physical issues when you’re older. First of all, make sure you get rid of sharp corners, such as on the kitchen island. If you fall, these corners can cause serious injuries. Make sure there’s plenty of space to move around in as well — especially if an island takes up space in the middle. You might want to consider some easier-to-use appliances too; for example, a wall oven. Wall ovens are easier to use because you won’t have to bend down and reach in to grab whatever you’re baking. Make sure your home is well light. Vision decreases as you age and a poorly lit home can be dangerous to traverse if you can’t see where you’re going. Use these renovation tips in order to age-proof your home. For more information about age-proofing your home, be sure to contact us at Community Renovations today.